Working hard to perfect your skills seems like the right thing to do. Learn it, deliver it, and live it. It seems logical. It is the discipline behind many quality control initiatives. Perfect it and protect it. In a World of constant change, are your skills rusty? I’m fascinated with certain aspects of history. Probably, outside of news, my favorite television channel is the History Channel. I don’t always believe everything I see there, but a few of the shows are favorites. Recently, I’ve watched several episodes of the Curse of Oak Island. A series about an island in the North Atlantic Ocean where it is believed that there is buried treasure. They’ve found some interesting stuff. Some of the items are at least a couple of hundred years old. Large iron spikes, and recently a large hook that may have been used to load or unload goods from ships. Interesting. Another sometimes interesting show is American Pickers. Somewhere in their storyline they claim they seek, rusty gold. 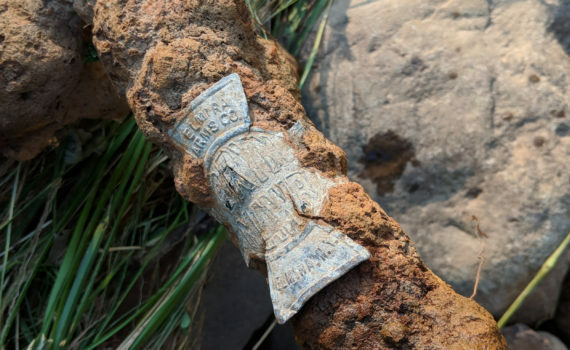 What they really mean is that finding old rusty metal is like finding gold, at least to them. I have a car, and a Chevy Tahoe. My Tahoe is twenty years old. A lot of miles, but still runs well. The rust is catching up on it though, and it needs some work. What is it about rust? It just never stops. Eventually all the metal or iron artifacts not found and recovered on Oak Island will return to the earth. The same is true for what the pickers seek. My Tahoe, will likely one day be salvaged and some components recycled. One the other hand, if we care for it, protect it, repaint it, or freshen it up it can last for a long time. Maybe, in some cases be better than new. All this same logic applies to your job skills. It also applies to the organization you work for, its culture, the people, and the market it serves. Rust is always working against you. Don’t get rusty. Note: The photograph is of an old bicycle frame with the manufacturers badge on the front of the steering stem. This turned up in August 2018 after heavy rains washed a deep mud and rock slide across nearly 40 feet of my yard.